In 2019 and in partnership with National Online Safety, we are excited to provide your children with newly updated E-safety lessons which will take them on an interactive journey through the online world. This fun and informative journey will encourage children to think about the digital world and how to learn, maintain positive relationships, be happy, but most importantly, stay safe in the online world. In addition to this, we will continue to keep you informed on the latest news. We also encourage and invite you to have a chat with us if you have and questions or concerns. Let's continue to work together to keep our children safe in a connected world. 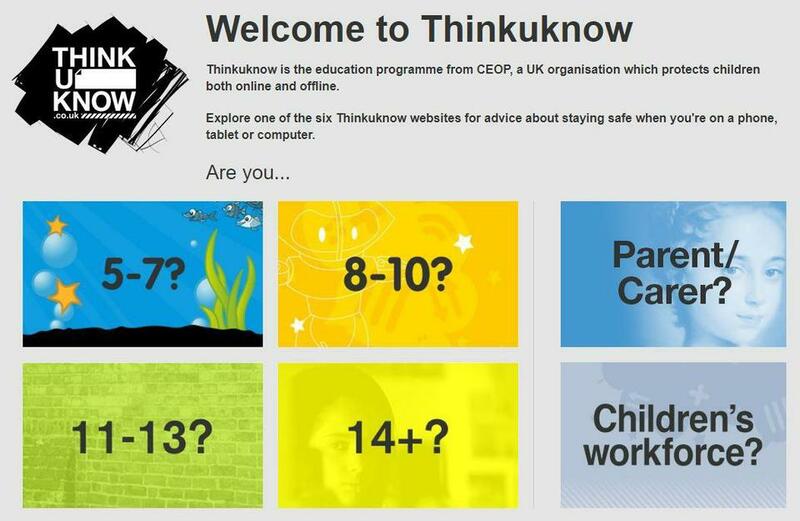 Thinkuknow aims to empower children and young people aged 5-17 to identify the risks they may face online and know where they can go for support. Simply click on the image to explore further with your child.